Bonding over their negative experiences of working in fashion, Lily More and Daisy Walker have taken it upon themselves to address issues of gender inequality and discrimination head on. Seeking to develop a community of likeminded individuals where issues could be brought forth within a supportive environment, it wasn’t long until monthly discussion group ‘Women in Fashion’ was born. Inspired by close friend, Hannah TW (Head of Music Videos at Production Company Somesuch & Co.), who similarly faced gender discrimination in the wider music industry, More and Walker hope that Women in Fashion - which welcomes all individuals to examine the industry’s deep rooted issues through public discourse – will grow into a club of people willing to extend their conversations of change far beyond the meetings’ walls. The topic for yesterday's discussion was 'Resolutions', inspired by the New Year and reflecting on experiences from the past. The topic was purposeful in its broadness because it evoked interpretation. From there, the discussions were honed into specific sub-genres of thoughts and experiences. But, as the conversation morphed, the topic of 'Resolution' remained relevant. In the room, there was a universal eagerness to join the discourse on gender equality in the fashion industry. I spent time speaking with co-founders, More and Walker, to discover why and how they sought to fuel this debate. Isabel Ulatowski: What were some initial reactions to the fashion industry that caught your attention as being archaic in terms of gender equality? Daisy Walker: Personally, it was the perception of roles. The idea that it was a surprise or a shock to people that I'm the photographer on set because of my gender. It was something that never occurred to me would be questioned. I was assumed to be the makeup artist or a hairstylist and then working backstage and literally being accused of using my gender to get the shots I wanted. There are certain gender representations placed on men and women that are very limiting. Lily More: For me, in particular, it’s this illusion that because the industry is filled with women, there is gender equality. If you dig deeper you see that a lot of the fashion houses and magazines are owned and run by men. There is also this image that the industry is a bitchy place, which I guess is a very ‘female’ word to describe women in business. Daisy and I wanted to create a friendly environment to give women working in fashion a sense of confidence. IU: Because the word ‘feminist’ can be seen as a trend, how do you feel that stigma is impacting the movement? 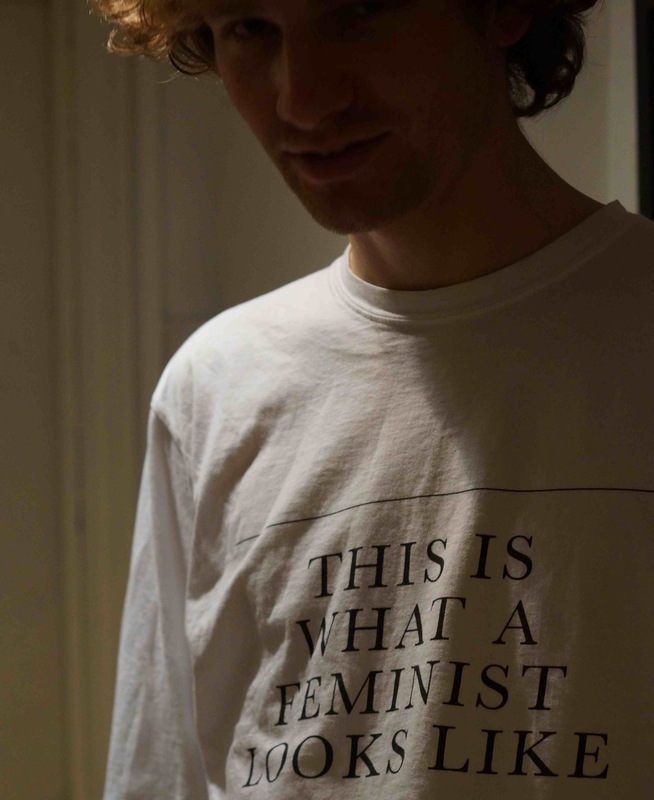 LM: I think the most important thing about the word ‘feminism’ is, first and foremost, not to shy away from it. In whatever respect that that may be, whether it is used as a tool to push things forward, or if it is seen as something cool to represent. I think that what is important to remember is that the word is being used. Feminism is the umbrella of why we started Women in Fashion. If I shied away from that, it would be an injustice. DW: I totally agree. There is a lot of conversation online going on about this issue. People are saying that they don't like to call themselves feminists, but rather, that they are egalitarians. I personally am against that. I believe that to shy away from a word like ‘feminism’ is to ignore a historical patriarchy that has existed for thousands of years. The reason there is the term ‘feminism’ is because women are not currently dominant. So for us to get to a point where we are calling ourselves ‘egalitarians’, which maybe in some ways we could be, we need to get to a level where there is equal responsibility, equal opportunity and equal understanding. The term ‘feminism’ is important to Lily and I individually, but definitely very integral to Women in Fashion. IU: Generally, fashion is an industry and feminism an ideology. In what ways can you see their relationship changing in the future? DW: I don't see fashion changing from an industry, because it makes more money than almost any other, so I highly doubt that will change. I think feminism will become more of a culture; with the amount of change we have seen over the recent years, particularly with girls growing up. I am close with a model called Fern Bain Smith. Girls like her embrace feminism at such a young age, and are taking it and morphing it themselves. [They have] their own understanding of what it means to be a woman, understanding what gender equality looks like, and how to form relationships between men and women. I think it means things are changing, and will continue to change with the next few generations. That is not to say that it will be perfect anytime soon, but I do think that feminism is looking more like a cultural movement than an ideology. LM: I think fashion is a really complex industry; it has so many layers. And then feminism is such a broad word to describe so many women in the world who have many different needs. Women of colour need to be represented more. Older women need to be represented more. Women of all shapes and sizes. I know these sound like very 'happy-go-lucky' thoughts, but these are really important things, and this discussion is going to take a really long time. I feel like things have to change, optimism is all we have really. IU: Given the recent rise in female photographers, why do you think there is a growing interest in the "female gaze"? DW: I think there is a growing interest in how women see themselves, there hasn't been a female gaze because all the photographers have been male. I mean, you can sort of count the female photographers on your hand. But there is a huge surge of female photographers coming through now, women coming from humble beginnings to people like Harley Weir, who we are very much a champion of. I think that is what piqued the interest in the female gaze. The very fact that more women are able to show their own view of women and of men as well. LM: I think social media is massively responsible for that, Instagram in particular. It has had a really positive impact on women who are realising that the representations in mass media don't reflect themselves, or how we would like to see ourselves. I definitely believe that the female gaze is as interesting as the male gaze, and it is sad that it’s really underrepresented. IU: What is your opinion of social media's role in provoking this change? DW: I think it’s integral. I'm a big social media fan. Women can now portray themselves through Instagram, Tumblr, selfies, showing arm pit hair, taking 'ugly' pictures of themselves and calling themselves beautiful. Because they are, and it’s not being formed by any other kind of gaze. What Lily and I hope to do with Women in Fashion is get off the internet and bring it into a more tangible space where you can really create the feeling of community. The internet is integral, but it really is only one part of a two part thing. LM: I think selfies have a massive part to do with it. I mean that’s such a buzz word isn't it? I know for a lot of friends of mine, they can turn to social media and see demographics that are underrepresented. An Iranian friend likes Kim Kardashian, because, on the basic level of being able to see a woman of her colour, do her makeup, and say “I can do my makeup like that too”. I think that social media has absolutely been the catalyst for a lot of positive change. Maybe a lot of negative reactions too, but that comes with everything. IU: It makes for a good discussion. LM: This discussion involves everyone, men and women alike. I think that is what's important. Women need a voice and men need to listen. It's a welcome space, if you are interested in gender equality, role representation, or if you are just getting into fashion. We would love you to come down and share your experiences with us. Women in Fashion is a growing and evolving thing, we don't necessarily have all the answers, we want to discuss that and therefore provoke change. For Women in Fashion updates, follow them on Instagram.